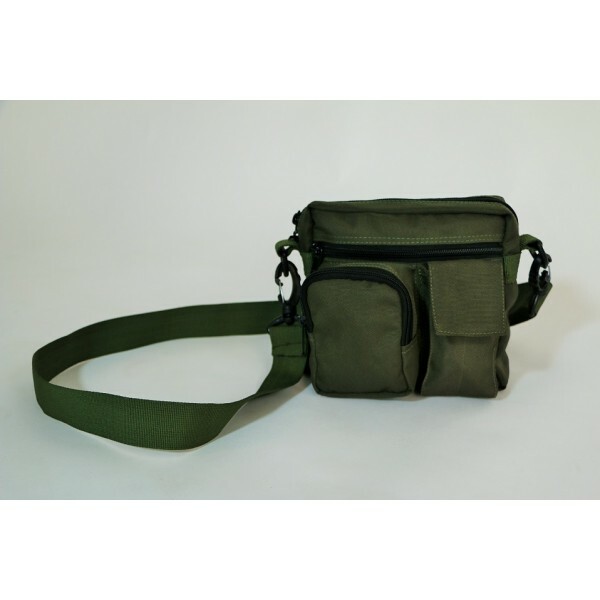 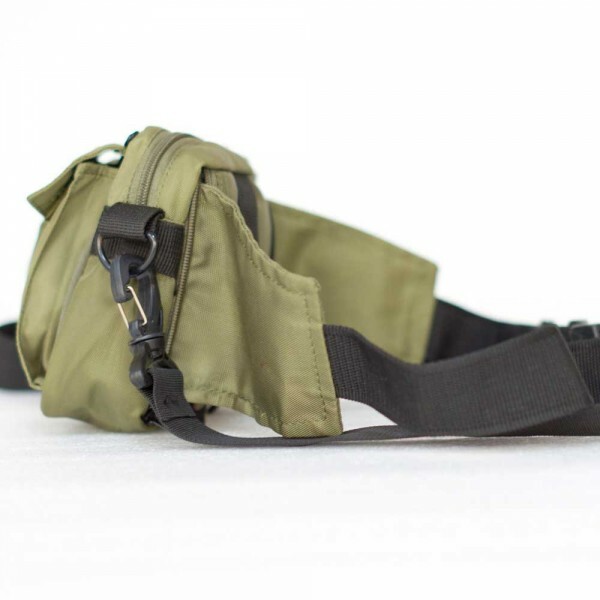 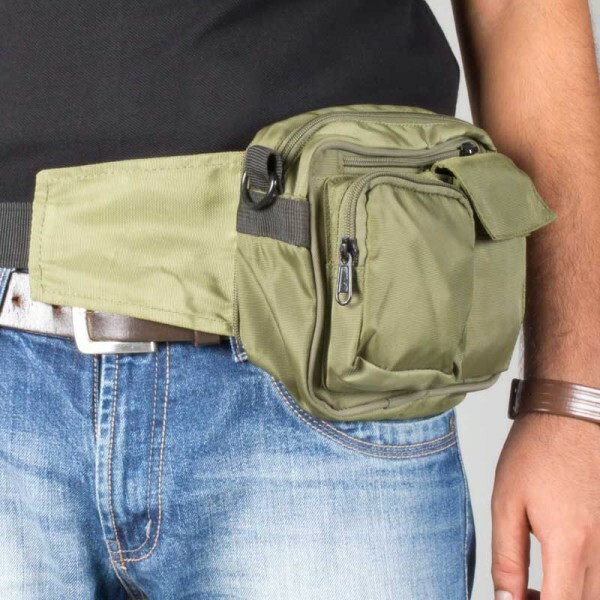 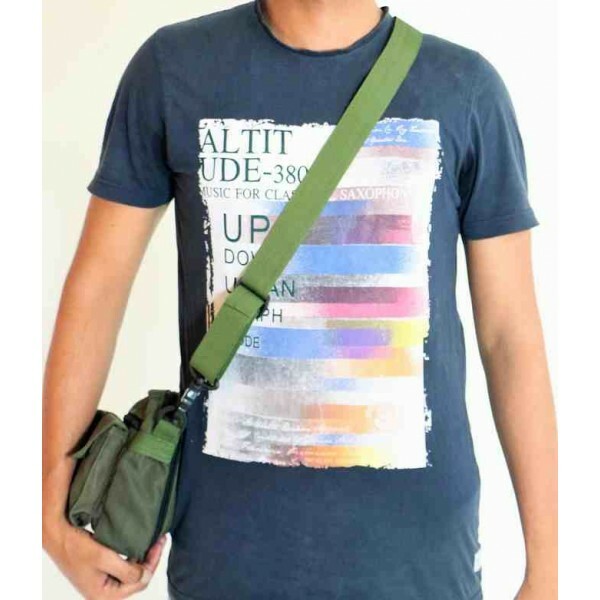 Heavy Duty, tough waist pouch, with five convenient compartments / pockets. 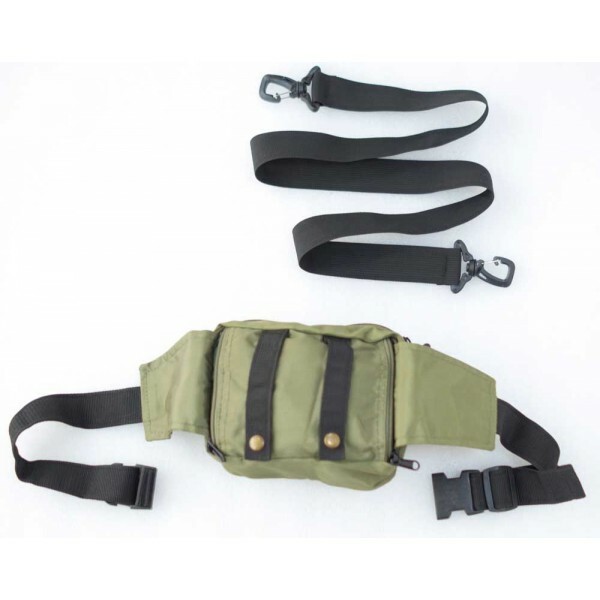 Is wearable on belt, has a detachable cross sling and a waist belt (can be tucked in with a zipper, when not in use). 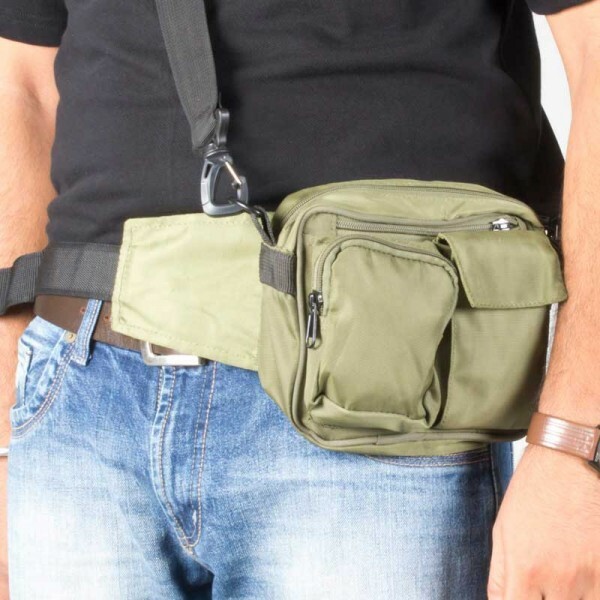 Ideal for carrying items securely, leaving hands free for other jobs. 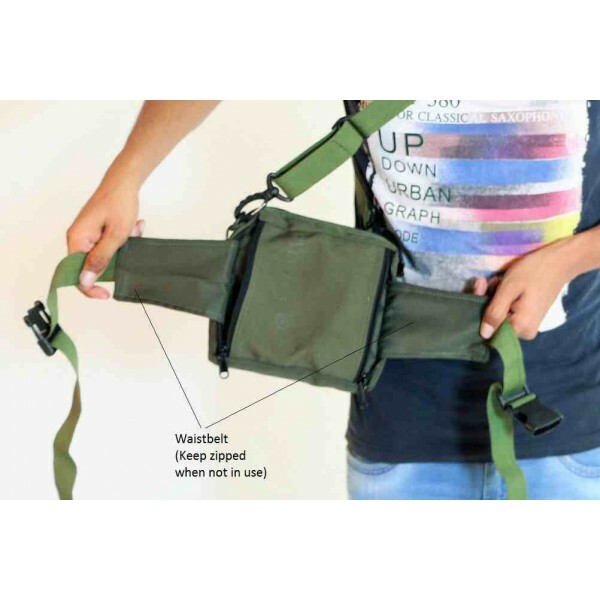 It has a cross strap with carabineers – the cross strap can be removed if not in use. 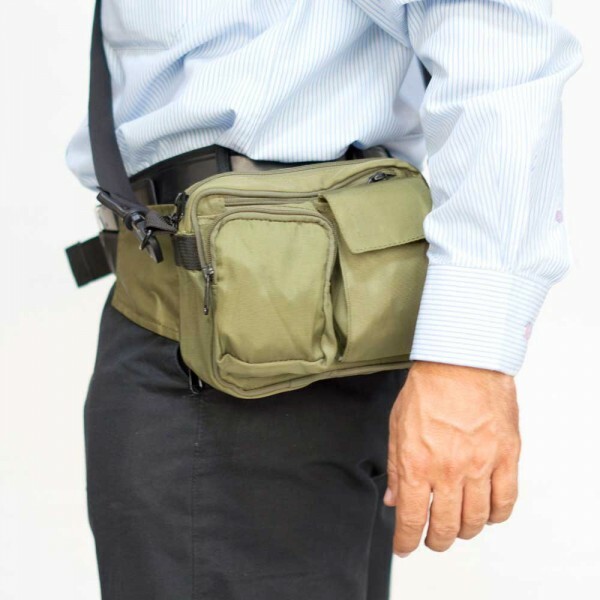 It also has an adjustable nylon waist belt with a quick release cam style buckle. 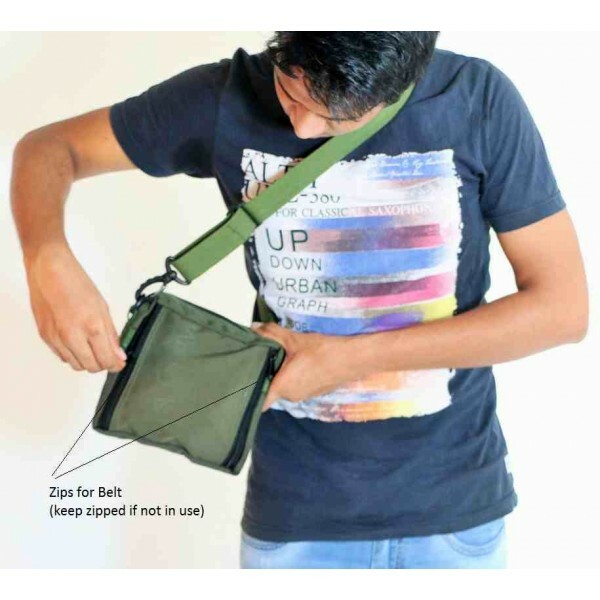 Uses: Carry two cell phones, keys, pens, a small pad and other items. Soldiers can carry ammunition, other tactical items. 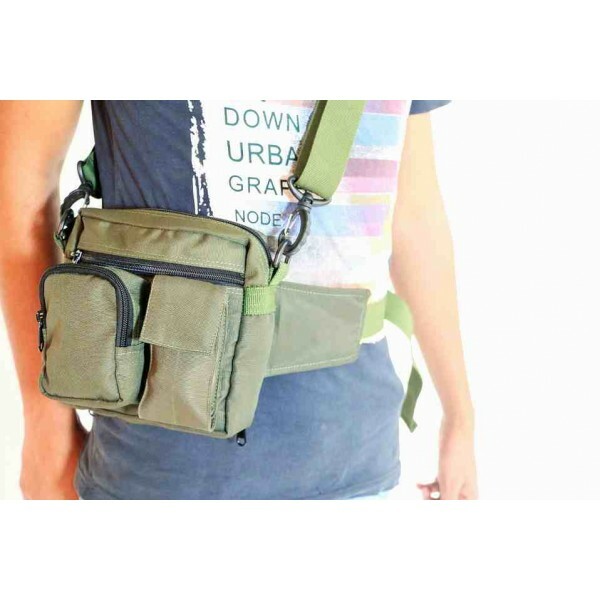 Trekkers can carry a mobile, GPS, compass, multi-purpose tool and other accessories.